The Orange Crownshaft Palm (Areca vestiaria) is also known as the Sunset Palm, Orange Collar Palm, and Red Pinang. Commonly called the Sunset Palm for its beautiful sunrise colored crownshaft ranging from red to bright orange in color. The Orange Crownshaft Palm is definitely an exotic and rare palm. The Orange Crownshaft Palm originates from off Moluccas Islands, which is off the coast of Indonesia. There are very few rivals for the Orange Crownshaft palm that have so much character as itself. 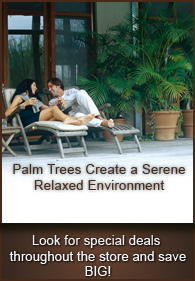 The slow growing Areca vestiaria can reach heights up to 10-12 feet taking many years to do so. The Sunset Palm is an understory palm, best suited to warm, shady conditions. 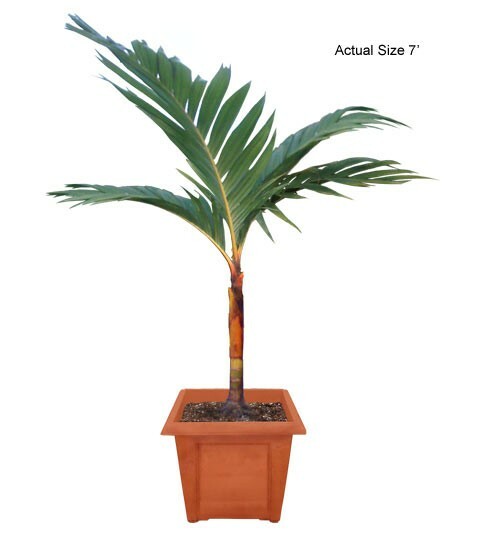 Once this palm has established, it is known to tolerate temperatures down to mid 30s F. It requires moist well draining soil to flourish to its full potential. Letting this palm dry out may cause it to die. The stunning and colorful Orange Crownshaft Palm tree is a palm enthusiasts dream come true and only comparable in beauty to the Red Sealing Wax Palm tree (Cyrtostachys renda).